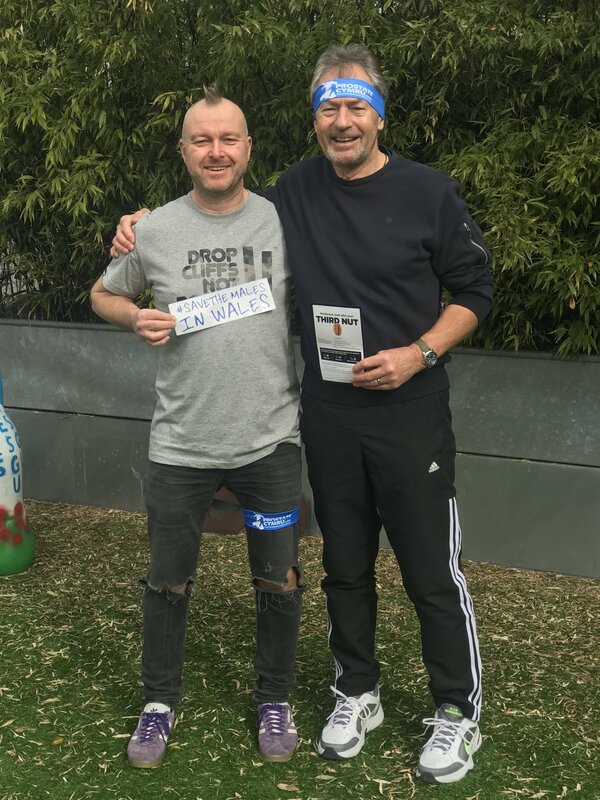 A second skydive day has been organised in aid of Prostate Cymru, the leading prostate health charity in Wales supporting men with benign prostate disease and prostate cancer. Prostate Cymru staff members Becky Havard and Owen Pugsley will join awareness volunteer Ian Norton and friend Paul Warren-Cox known as “Tin-Tin” for the big leap on Sunday 19th May at Skydive Swansea. Telecommunications company RPS Technology Solutions are also hoping to enter a team to jump on the same day. A charity tandem skydive involves jumping out of an aircraft at around 12,000 feet whilst attached to a fully qualified instructor. A skydive involves 45 seconds of freefalling at 120mph after which the parachute is deployed to ensure a smooth and safe landing. All training and equipment is provided on the day of the skydive. On 24th March Prostate Cymru held its first skydive day. Prostate Cymru’s Chris Leyshon was joined by supporters Ifor Griffiths, Gillian Foster and Isaac Foster. The four had fantastic weather for their skydives and enjoyed their experience. Ian and Tin-Tin are fundraising on JustGiving as are the Prostate Cymru team.